A new study describes the Science Operations component and new results from NASA's Biologic Analog Science Associated with Lava Terrains (BASALT). The goal of BASALT was to provide evidence-based recommendations for future planetary extravehicular activity (EVA), simulating in particular the conditions associated with conducting human scientific exploration on Mars. 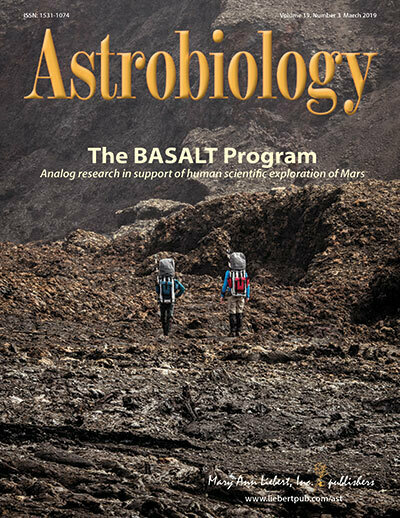 The article appears in a Special Issue on BASALT led by Guest Editor Darlene Lim, Ph.D., NASA Ames Research Center and published in Astrobiology. The article entitled "Using Science-Driven Analog Research to Investigate Extravehicular Activity Science Operations Concepts and Capabilities for Human Planetary Exploration") was lead-authored by K.H. Beaton, KBRwyle (Houston, TX) and NASA Johnson Space Center (Houston) and a team of researchers from these institutions, Jacobs Technology (Houston), Idaho State University (Pocatello), McMaster University (Hamilton, Canada), University of Edinburgh (Scotland), BAER Institute (Moffett Field, CA), and NASA Ames Research Center (Moffett Field).